Smart View simplifies displaying your device's screen on a television screen. 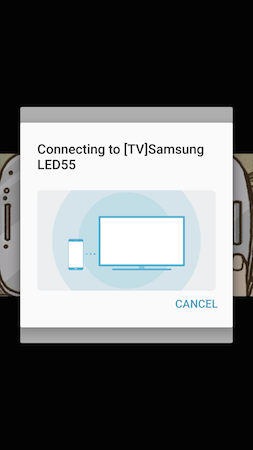 Connect to Samsung Smart TVs and Miracast devices (such as Chromecast or Amazon Fire TV Stick), and you can wirelessly beam your photos, videos, presentations, and even your video games to your big screen. 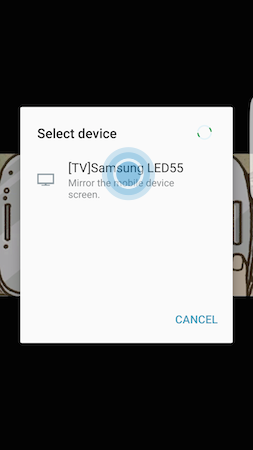 There are two ways to start sharing your screen on a television. 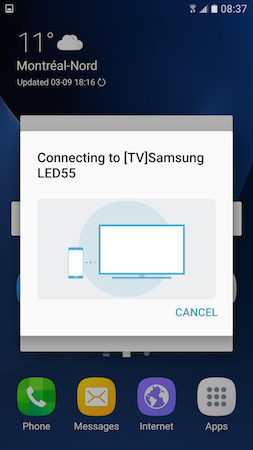 Make sure your television is turned on and connected to the same Wi-Fi® network as your device before turning on Smart View. Some televisions and devices may require you to switch inputs or turn on screen mirroring. 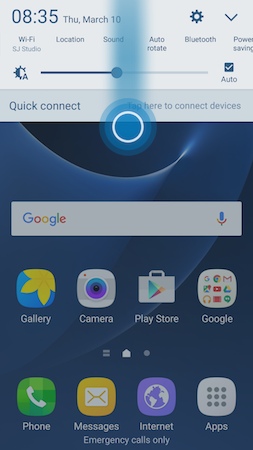 1 Swipe from the top of the screen to the bottom to open the Notification Panel. 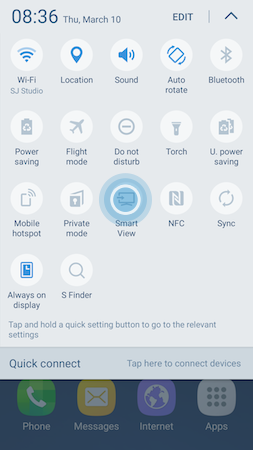 2 Touch the View More icon to open the Quick Settings Panel. 4 Available screen mirroring devices will be detected. Touch the device you want to display your screen on. 5 The devices will attempt to connect. Begin sharing by following the instructions on your television screen to allow the connection. 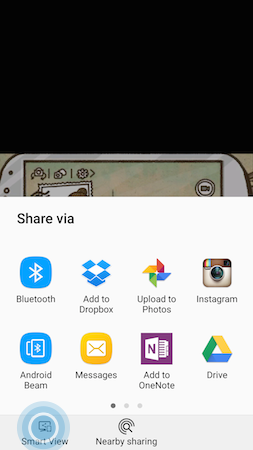 When you choose to share content such as a photo or video, Smart View is available in the sharing options. 1 With the photo or video open, touch Share. 3 Available screen mirroring devices will be detected. 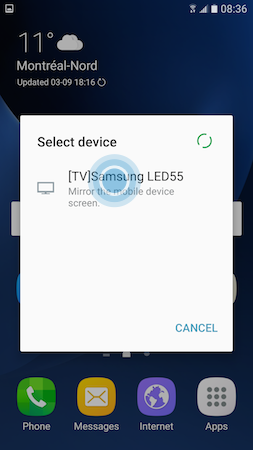 When prompted, touch the device you want to display your screen on. 4 The device will attempt to connect. Begin sharing by following the instructions on your television screen to allow the connection. 5 Your photo or video will display on the television. 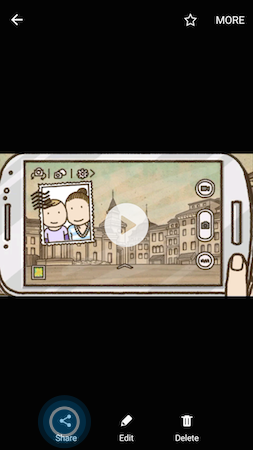 For videos, touch Play on your mobile device to begin streaming it to the television. 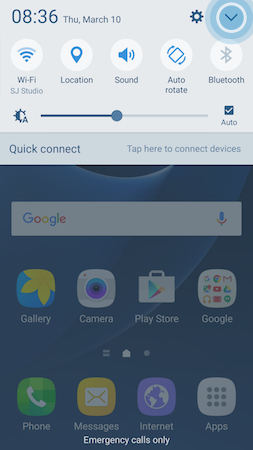 Galaxy S7: How do I take screenshots on my Samsung Galaxy S7?